To perform the rolling plank ball exercise, kneel in front of the ball and lean on your hands on the ball about shoulder width apart. Keep the ball under your upper forearms at the point of full extension. Stop before your hips start to sag. If you are prone to instability or have a history of shoulder dislocation, do not do this exercise. There is a risk of shoulder dislocation with this exercise in people so predisposed. This exercise becomes more difficult if you start with the ball further away. Add air to your ball to make your ball less stable. Try the Ball Plank Knee Tuck. 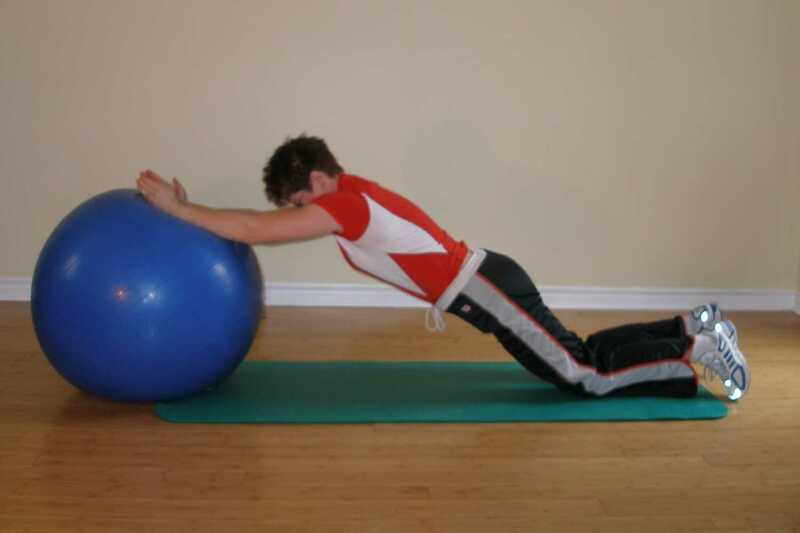 This is a progression of the Rolling Plank 1 ball exercise. Start this ball exercise using short movements. Push the ball forward only 4 inches to start and come back. If you can maintain a neutral lumbar spine and control the ball then try pushing a little further forward. 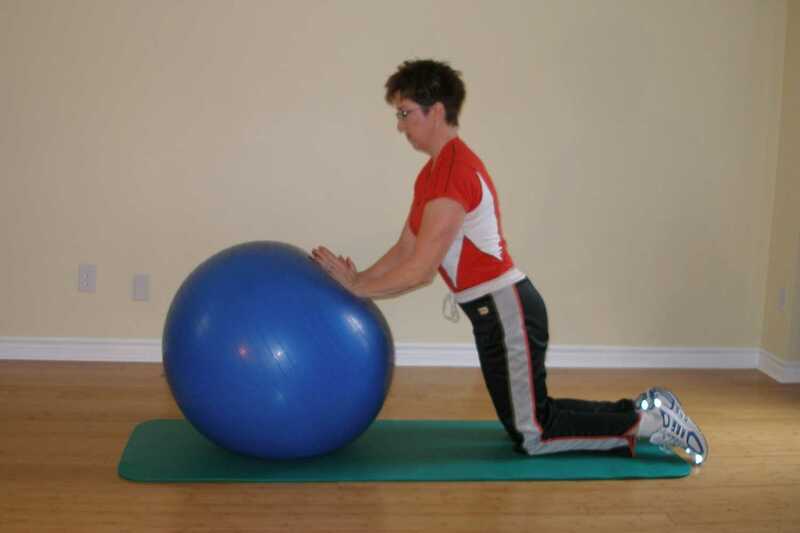 This exercise is made easier by using a large soft ball.